The Rubber Cafe Design Team Blog: More Glittery Goodness To Share!! 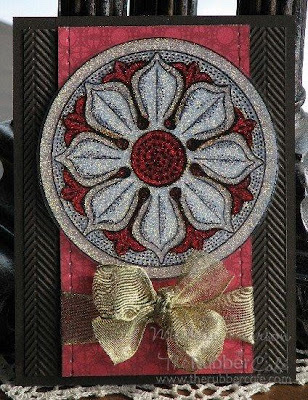 More Glittery Goodness To Share!! 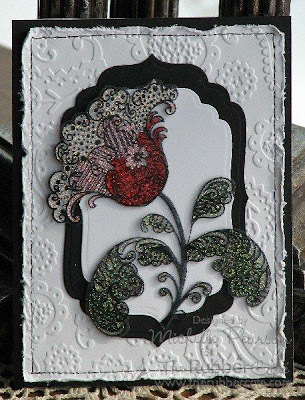 Here is another card featuring the beautiful Paisley Tulip done up in glitter and acetate!! ....and the Large Celitc Rosette is stunning done in this technique as well! ...and one more Large Swirl Butterfly done up with Cosmo Cricket's Chemistry Collection. 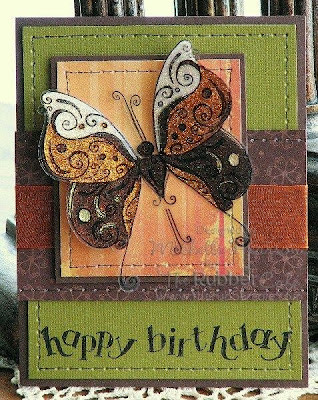 Happy Birthday Outline is filled in with a black Spica Glitter Pen. If you are interested in the Large Celtic Rosette or the Paisley Tulip, please contact Melissa to request these as they are not in the store just yet. I hope you enjoy looking at them as much as I enjoyed making them! !